Any environment repugnant to mankind soon turns into sheer hell. Saudi Arabia, the country of one million clerics, is the only country that prevents women from driving. It is the only country that oppresses freedoms in the name of religion. It rules in the name of Islamic Sharia, which clearly prescribes death to anyone who leaves the religion. Ladies and gentlemen, my husband Raif Badawi was imprisoned merely for expressing his opinion. His adopting liberalism was reason enough for the Saudi Inquisition courts to consider him a criminal, worthy of 10 years in prison, and 1,000 barbaric lashes. The Islamic Inquisition courts, which disappeared when Islamic fascism was eradicated, have now returned during the era of the interfaith dialogue sponsor. The Saudi King spends hundreds of millions of dollars to improve Saudi Arabia’s image abroad. Ladies and gentlemen, Raif Badawi won the Humanity Award from PEN Canada last October. Less than a month later, he won the Reporters Without Borders Netizen Award. In January, he won the Aikenhead Award from the Scottish Secular Society. I was extremely happy to learn that Raif won your distinguished organization’s award, for your tireless protection of human rights. I tell you, in all honesty, that I am still astounded to this moment over the prize awarded to my husband Raif. This prize bears a clear message to the Saudi regime, namely that the continued incarceration of Raif is a shame on it, especially considering its war on terror and against the terror group known as the Islamic State. I would like to thank each of you individually, and wish I could be with you on this wonderful day. My only consolation is that Dr. Elham Manea, who is loved by both myself and Raif, will receive the prize on behalf of Raif. Ladies and gentlemen, thank you from the bottom of our heart. URGENT – RAIF BADAWI MAYBE FACING DEATH PENALITY FOR APOSTASY AGAIN. This told a official source Raifs Wife Ensaf on Saturday 01-03-2015 and she shared this message right now on Twitter. Yesterday the CBC documentary show The Fifth Estate was about a medical doctor who wrote a best-seller about zomg wheat is poison stop eating it right this second and you will live forever. Millions of people are joining the anti-wheat revolution. Kellogg’s, the world’s largest cereal maker, has seen its biggest drop in sales since the 1970s. Food companies are selling off their struggling bread divisions. It’s all because best-selling health evangelists say that wheat is causing everything from fat bellies to schizophrenia. But do they have science on their side? Mark Kelley takes a hard look at what’s driving a movement that is dramatically changing the way we eat. Deeyah Khan underlines the importance of free expression. When I organised World Woman I was keen to emphasise the need for freedom of expression for activists and artists, to identify that those who are most likely to be silenced by the religious right most often share the culture of those who wish to silence them: that this is not a conflict of the enlightened West versus the obscurantist East, but against extremist ideologies that threaten all our shared liberties. If you’re in or near London or up for a journey you obviously won’t want to miss this panel discussion at LSE next Tuesday. Trisha Ahmed, daughter of Avijit Roy, asks us all to share her father’s story. The IHEU has more. Criticism of a “culture of impunity” and the apparent failure of authorities to act on strong, credible threats by known individuals in the past year alone has been a common feature of the international outcry over the killing, including our own commentary which named one of the hostile individuals Fellow humanist bloggers like Asif Mohiuddin have called for pressure to be piled on the Bangladesh government. Roy’s daughter, Trisha Ahmed, a student in the United States, has also written about her father in tribute and calling for his story to be shared far and wider. Her words below, originally posted on Facebook, are re-published with permission. It’s chilling to read now – all the more chilling, that is. It was chilling then and it’s more so now. On April 1, 2013, the Bangladeshi government played the fool in a disgraceful affair that we only wish had been an April Fool’s Day prank. On that day, several bloggers were put behind bars in Bangladesh on the sole basis that they were openly atheist. When we say “openly atheist,” we do not mean that the bloggers denounced religion in public squares or emphatically condemned theists to the ugliest patches of ground after death. Instead, the government criminalized these four men for simply voicing their rational, skeptic, and scientific thoughts on blogging forums—sites that exist for free inquiry, self-expression, and, most important, free speech. This too is horrible – IS smashes ancient statues in Mosul. The Islamic State (IS) group has released a video appearing to show the destruction of statues in Iraq. Statues are smashed using sledgehammers and drills in what seems to be a museum in the city of Mosul. Statues are also shown being destroyed at an archaeological site known as the Nergal Gate. It’s the same thing the Spanish colonizers did to Inca and Aztec and Mayan and other artifacts. It’s appalling. In the video released via IS social media sites, black-clad men push over statues, smash them with sledgehammers and use a pneumatic drill to destroy the rubble. Ihsan Fethi, an Iraqi professor of architecture based in Amman, Jordan, told Agence France-Presse the destruction was “a terrible loss and an unbelievable act of cultural terrorism”. I have to tell you, it’s painful to watch this – one push and an ancient statue is destroyed. The Independent has more details on the attack on Avijit Roy and Rafida Ahmed Banna. 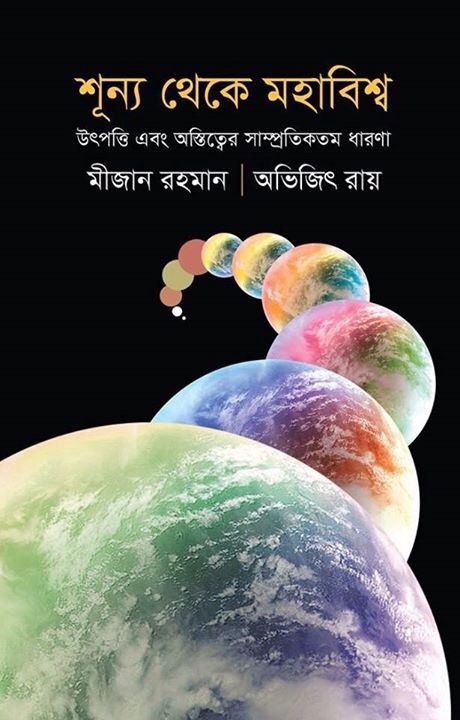 Taslima gives us a look at some of Avijit Roy’s books.